Holy Moly Guacamole!! It's been a week since I last post about something! Yes.. I was feeling really slack and busy on having my ME time (which is slacking around haha). That is making pretty mini cupcakes!!! My cupcakes for today it is kind of a " If it's.."
But for Joe, he will use whatever that is in the fridge or the pantry. Somehow, he can cook something with those ingredients. But today, I'm following the "If it's.." philosophy! 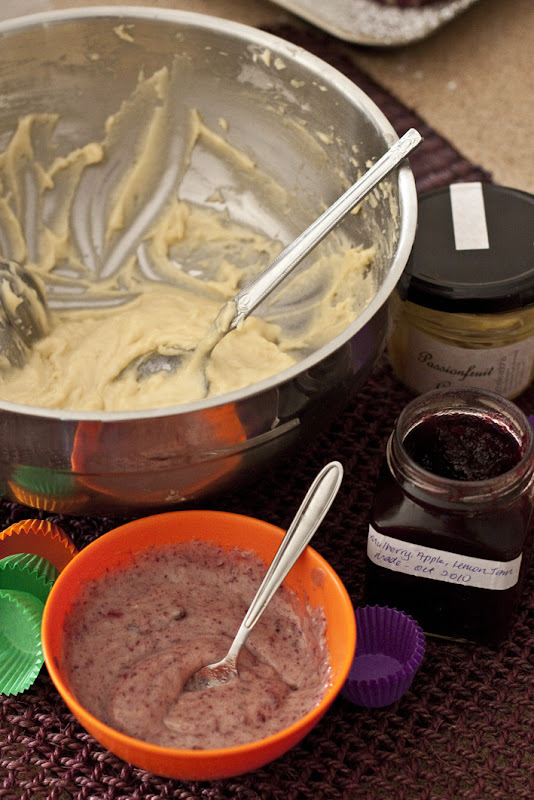 I use the left over Passion fruit pulp, Lemon butter and the Mulberry Jam that my aunt (Julie) made, for my cupcake! Baking mini cupcakes in a small mini cupcake pan is a PAIN. I baked it batch by batch! But I guess, like this it gives me time to explore all different kinds of flavour and making different kind of icing. You won't believe this, I have actually made icing 3 times. I made Cream Cheese icing for the 1st batch, then I make meringue for the 2nd batch but after I've tried it on 1 cupcake, I decided to scrap it because it's not tasty. So then I made another batch of cream cheese icing. After baking, trying, tasting the whole 4-5 hours, I am very happy with my experimental mini cupcakes!!! 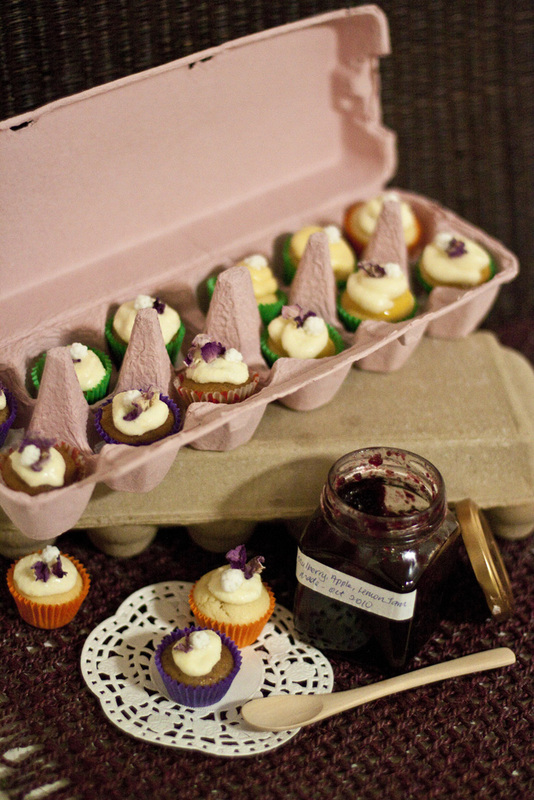 There's Passionfruit curd & Cream Cheese cupcakes, Mulberry Jam & Cream Cheese on Mulberry Cupcakes and Lemon Butter & Cream Cheese on Mulberry Cupcakes. hahaah it's a pick up only. 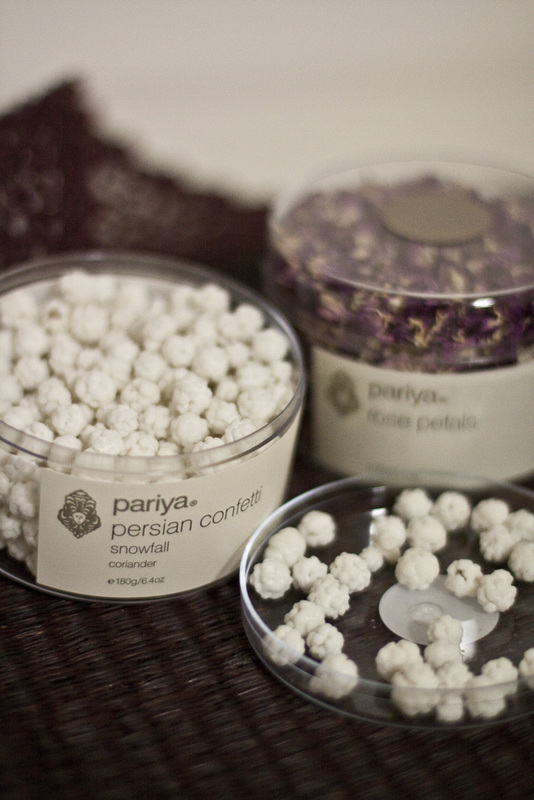 omg, that persian confetti looks awesome! I haven't been to The Herdsman yet, but I bought one of those vouchers for it ($20 for $44 worth, i think). So I'll go to town shopping for those little gourmet treats when I have time! And love how you put the mini's in the egg container, very gorgeous. Hey Bryt! Yes I bought that voucher too!!! It's totally worth it! I got quite a few stuff that I normally wouldn't get. Go get the confetti! and the rose petals just smells soo soo rosey~! It gives it a quite unique flavour. Love it! hahahaha love the idea of that on a glossy paper!! I would probably stare at it for hours too!